Lyricist Kabilan Vairamuthu is also a talented screenwriter, who has worked in recent biggies like Kavan and Vivegam. He has now featured in a documentary, along with other Presidium members of Makkal Anukka Peravai (MAP), directed by Karthigheyun. This documentary, titled as Ilaingargal Enum Naam, will be a journey of the dreams and deeds of Makkal Anukka Peravai. This documentary will be released on the 25th of September, by none other than director A.R.Murugadoss. Ilaingargal Enum Naam will be one more project that Kabilan Vairamuthu can be proud of. After the songs turned out to be hits and the teaser and trailers were loved by all, AR Murugadoss's Spyder, starring Mahesh Babu is now all set to hit the screens on 27th of September. 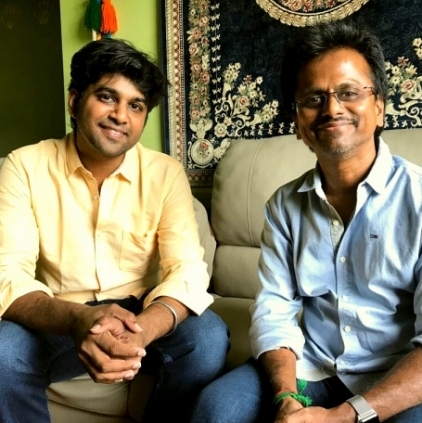 Could AR Murugadoss and Vijay make it 3 in a row? A Hunger strike unsettles Tamil Cinema yet again! Gayathri Raghuram's smashing reply to her haters! People looking for online information on AR Murugadoss, Kabilan Vairamuthu will find this news story useful.